The Flash returned for its third season this week with the introduction of the Flashpoint storyline. While it already has major consequences for the scarlet speedster, it’ll also have consequences for Arrow, as teased by executive producer Marc Guggenheim. He is searching for that moral compass that he lost at the end of season 4. Without spoiling too much of what happens to Diggle, I will say that he discovers that Chechnya is the wrong place for him to discover his moral compass. Things do not go according to plan for him, and there’s something that happens in the first three episodes that’s fairly significant in terms of Diggle. It’s the circumstances that will ultimately bring him back to Star City, but he’s not going to be the same. He’s not going to be able to live his life the way he had been living it before. Things are going to get very, very complicated for him, for reasons I don’t want to spoil, but it leads to a very Dig-and-Oliver-centric episode in 504. Russia is significant to season 5 as its the setting of the flashbacks. (By the way, this is supposed to be the last season for flashbacks, but Guggenheim teased there could be more — or even flash-forwards — in future seasons.) It’ll focus on Oliver joining Bratva, as well as Dolph Lundgren as the villain Kovar, whom was mentioned in season 4. 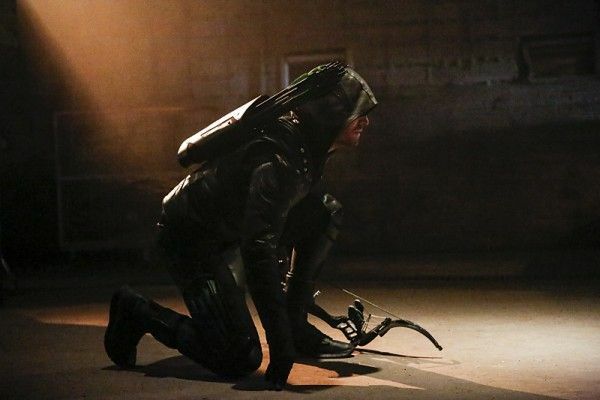 Guggenheim also teased that Oliver Queen (Stephen Amell) is failing as the new mayor of Star City because he’s made his Green Arrow duties a “priority.” So, at the behest of Thea and Felicity, he assembles a new team of vigilantes to help pick up the slack: Joe DiNicol as Ragman, Rick Gonzalez as Wild Dog, Evelyn Stark as Artemis, and Echo Kellum’s vigilante turn as Curtis.